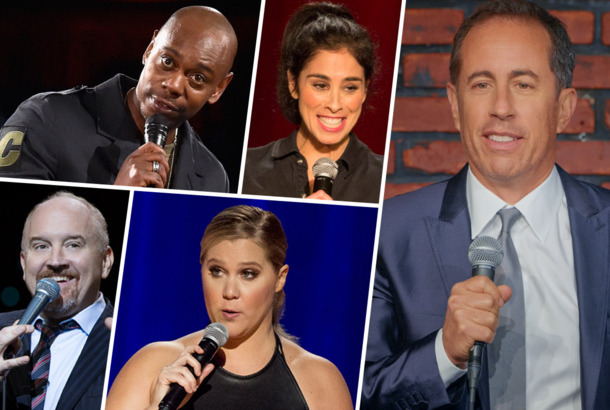 Jon Stewart and Dave Chappelle Take the Stage for Joint Comedy Tour This SummerThe seven-date tour kicks off in Boston on June 11. Man Who Threw Banana Peel at Dave Chappelle Is Now Suing Dave ChappelleChristian Englander, the man responsible for “Bananagate,” claims he was assaulted by Chappelle’s bodyguard as he was being restrained. Draymond Green Didn’t Care for Dave Chappelle Besmirching His Good NamePersonal foul. A Close Read of the Pimp Story Dave Chappelle Tells in The Bird RevelationWho’s who? 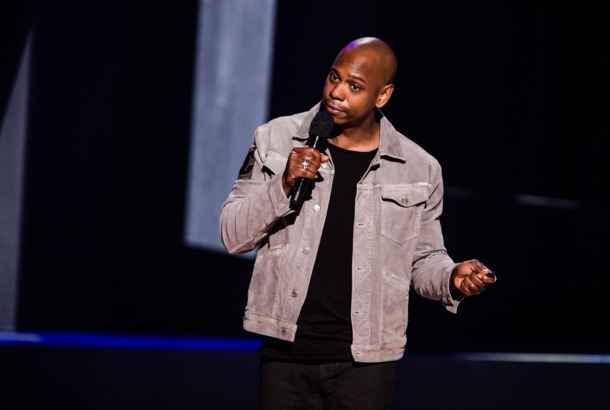 Dave Chappelle Is Mostly Disappointing in His New Netflix SpecialsChappelle is one of the most important American comedians of the last 20 years, but you can’t see that clearly here. Fan Who Wrote Dave Chappelle a Letter About Trans Jokes Responds to EquanimityIn his new Netflix special, Dave Chappelle uses a fan letter criticizing his trans jokes as a launchpad to tell more trans jokes. Are We Taking Dave Chappelle Too Seriously When He Jokes About Louis C.K. ?Dave Chappelle says in his new specials that he is just messing around, but that goes against his status in our culture as a social commentator. 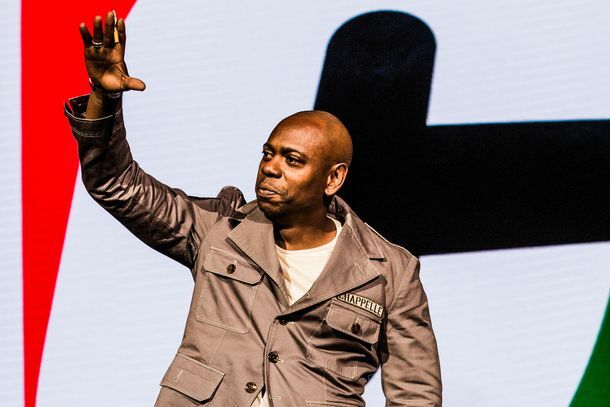 Netflix Is Releasing Two Dave Chappelle Comedy Specials on New Year’s EveThe streaming service just announced its fourth special with Chappelle. Dave Chappelle Teases His Next Netflix Special With a Timely Trump JokeLaugh through those tax-reform-induced fears. 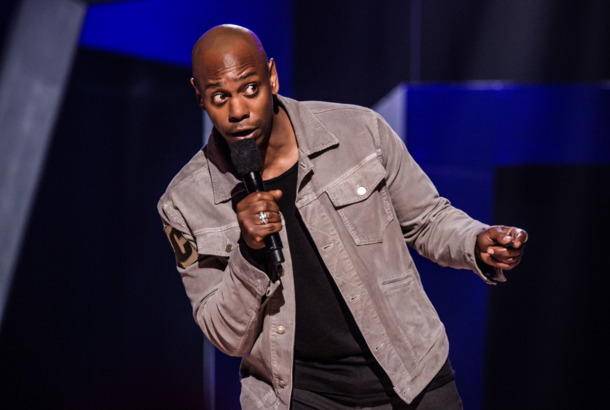 Dave Chappelle’s Third Netflix Comedy Special Arrives December 31It’s titled Equanimity, but at least one joke will likely cause you to lose your chill. Chappelle’s Show Never Won an Emmy, But Dave Chappelle Finally DidThanks to Saturday Night Live. Jon Stewart on Trump: ‘Everybody Who Is a Nazi Sure Does Seem to Like Him’John Mayer and Hannibal Buress also showed up as surprise guests. Dave Chappelle on Trump’s ‘Polarizing’ Presidency: Like a Bad DJ at a Good PartyChappelle reexamines his Saturday Night Live monologue on the Late Show. Dave Chappelle Is Sorry for Suggesting on SNL That We Should Give Trump a ChanceHe addressed his SNL monologue during a benefit dinner in NYC. Dave Chappelle Joins Lady Gaga and Bradley Cooper’s A Star Is BornThe comedian will portray a character by the name of Noodles. 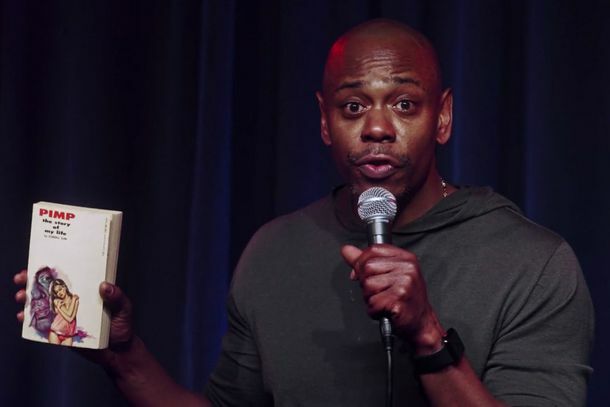 The 10 Best Jokes from Dave Chappelle’s Netflix SpecialsThe highs of Chappelle’s specials really are crazy high. 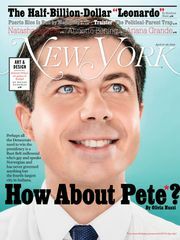 Do We Expect Too Much of Dave Chappelle?He’s rich and famous, yet we still want to see the plucky underdog.